Author(s): Wieslawa Lewgowd, Department of Hospital Pharmacy, Faculty of Pharmacy, Medical University of Lodz, 1 Muszynski Street, 90-151 Lodz, Poland. Marta Szumilak, Grazyna Zydek. Background: Quantitative structure-activity relationship studies of long chain arylpiperazines demonstrated that 5-HT1A affinity is influenced by the nature of the aryl group at N1 of the piperazine ring and the length of the alkyl chain at N4 position linked to terminal amide or imide part, but still the function of terminal amide/imide moieties is less clear. Objective: The aim of the study is building analytical models useful in predicting the biological activity of potential 5-HT1A ligands. Pyrimido[5,4-c]quinolin-4(3H)-ones differ from previously analyzed compounds in the volume of the no-pharmacophoric part of the molecule which can be located in the large pocket of the receptor. Method: The multiple linear regression (MLR) analysis was carried out to study the quantitative structure- activity relationship. Models were developed on the basis of biological in vitro study, chromatographic data and molecular descriptors. 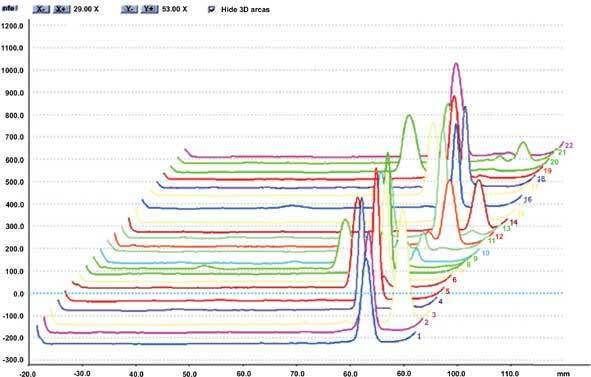 The thin layer chromatography was performed on normal-phase plates impregnated with solution of L-amino acids residues determined as essential for ligand-binding to the 5-HT1A receptor. Results: The satisfactory result of statistical analyses expressed by the final structure-activity relationship models explain 87% and 93% of the variance and simultaneously describe the potential interactions between the ligand and amino acid residues. Additionally, the effect of electronic properties of compounds on 5-HT1A receptor binding affinity can be observed. Keywords: Arylpiperazines, biochromatography, LCAPs, 5-HT1A receptor, pyrimido[5, 4-c]quinolin-4(3H)-ones, multiple linear regression. Affiliation:Department of Hospital Pharmacy, Faculty of Pharmacy, Medical University of Lodz, 1 Muszynski Street, 90-151 Lodz, Poland. Keywords:Arylpiperazines, biochromatography, LCAPs, 5-HT1A receptor, pyrimido[5, 4-c]quinolin-4(3H)-ones, multiple linear regression. Abstract:Background: Quantitative structure-activity relationship studies of long chain arylpiperazines demonstrated that 5-HT1A affinity is influenced by the nature of the aryl group at N1 of the piperazine ring and the length of the alkyl chain at N4 position linked to terminal amide or imide part, but still the function of terminal amide/imide moieties is less clear.